February is a month to raise awareness of cancers of all kinds. February 4 is World Cancer Day, a global event created to unite the world’s population in the fight against cancer through education and encouraging governments and individuals to take action. 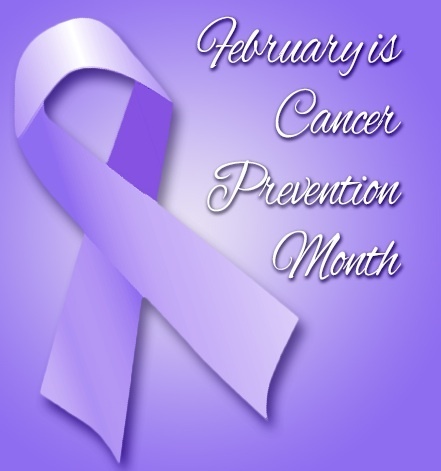 Here in the U.S., February is National Cancer Prevention Month. There are a number of ways we can participate in the fight against cancer. On the most personal level, we can adopt healthy habits and educate ourselves about known and suspected causes of cancer. On a national and global level, we can help to raise awareness, contribute to reputable research organizations, and reach out to our representatives to tell them that funding cancer research should remain a national priority. In the U.S. and around the world, we have gained much ground in the fight against cancer. Below are only a very few dramatic examples. In 1947, childhood leukemia was fatal within weeks of diagnosis; in 2012, the cure rate for leukemia reached 90%. Deaths within 15 years of childhood cancer diagnosis declined by 50% from the 1970s to the 1990s. The advent of the Pap test has reduced cervical cancer cases by 70% since the 1950s. In 1971, there were 3 million cancer survivors in the U.S. There are now close to 14 million, and it’s estimated that this number will reach 18 million by 2022. Advances such as these are possible as a result of robust funding of cancer research. To continue our progress in the fight, it’s critical that we continue to make this a priority in the U.S. The American Institute for Cancer Research (AICR) estimates that 1/3 of common cancers could be prevented with healthy eating and exercise habits and maintaining a lean body weight. This includes 33% of breast cancers, 47% of colorectal cancers, and 50% of endometrial cancers. The group also estimates that 50% of cancers could be eliminated by also avoiding tobacco, protecting the skin from the sun’s damaging rays, and getting appropriate vaccines. In the U.S., 6 in 10 women and 7 in 10 men are overweight or obese. It’s estimated that maintaining a healthy weight could have prevented 132,000 U.S. cancer cases last year. Following current leading recommendations for nutrition and exercise makes it easier to keep body fat at a healthy level. The AICR recommends getting at least 30 minutes of any type of exercise each day. The American Cancer Society (ACS) offers more detailed direction, recommending that adults get at least 150 minutes of moderate exercise or 75 minutes of vigorous exercise (or a combination of the two) throughout each week. Physical activity is known to reduce the risk of breast, endometrial, and colon cancer by regulating hormone levels in the blood and helping to move food through the colon to minimize exposure to carcinogens as well as by helping to maintain a healthy weight. Eating a healthy diet means intentionally including some foods and limiting or excluding others. Fruits, vegetables, and whole grains are recommended for cancer prevention, in part because they contain phytochemicals that can help the body fight cancer. The American Cancer Society recommends at least five servings (or 2 1/2 cups) of fruits and vegetables per day. Whole grains are also rich in phytochemicals, and the abundant fiber they contain can help prevent certain kinds of cancer as well. On the other hand, the ACS recommends limiting processed meat and red meat intake; the AICR goes farther by suggesting complete elimination of processed meats and limiting red meat intake to 18 ounces per week. If you didn’t make a New Year’s resolution to cultivate healthier habits (or you did and are a little late getting started on it), National Cancer Prevention Month gives you another reason to start new, healthy habits. Try a new fruit or vegetable, find a fun activity that gets you moving, and help spread the word about the importance of continued funding for cancer research around the world. Iowa Radiology is committed to excellent patient care and helping to provide the resources you need to make the best possible choices for your health. 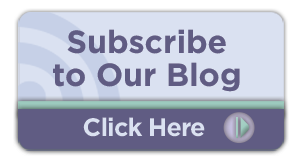 To stay up to date on all of our latest health-related articles, click the link below to subscribe to our blog. "Cancer Research Saves Lives." YouTube. American Association for Cancer Research, 24 April 2013. Accessed 5 Jan 2018. “Cancer Progress Timeline: Major Milestones Against Cancer.” ASCO.org. American Society of Clinical Oncology, 28 Nov 2017. Accessed 5 Jan 2018. “AICR - Cancer Infographics.” ASCO.org. American Society of Clinical Oncology, 7 April 2016. Accessed 5 Jan 2017. “ACS Guidelines for Nutrition and Physical Activity.” Cancer.org. American Cancer Society, 13 April 2017. Accessed 5 Jan 2018. “Nutrition for Breast Cancer Patients and Survivors.” HopskinsMedicine.org. The Johns Hopkins University, The Johns Hopkins Hospital, and Johns Hopkins Health System, 26 Oct. 2017. Accessed 5 Jan 2018.